B-52F из состава 7-го бомбардировочного авиакрыла наносит удар по "тропе Хо Ши Мина" во время операции "Arc Light". Южный Вьетнам, 1965г. 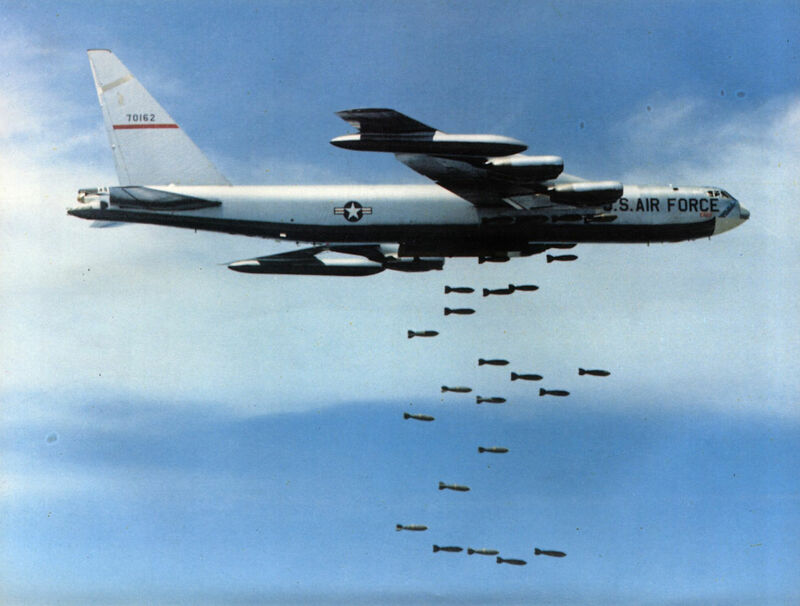 К сентябрю 1967 года последние B-52D "Big Belly" прибыли на Гуам, сменив там B-52F. A USAF Boeing B-52 drops a string of 51 750 lb bombs on a Viet Cong target in South Vietnam. 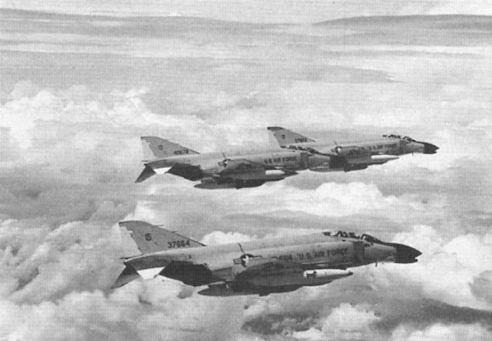 F-4C Phantoms based in Thailand “heading north”. RF-8A Crusaders from VFP-63 began flying Yankee Team reconnaissance missions over Laos in 1964. 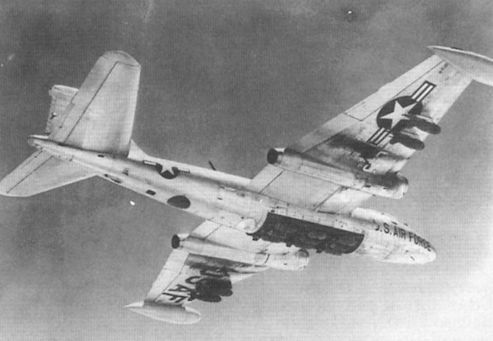 A Martin B-57 Canberra bomber carrying a full bomb load under the wings and in the bomb bay. 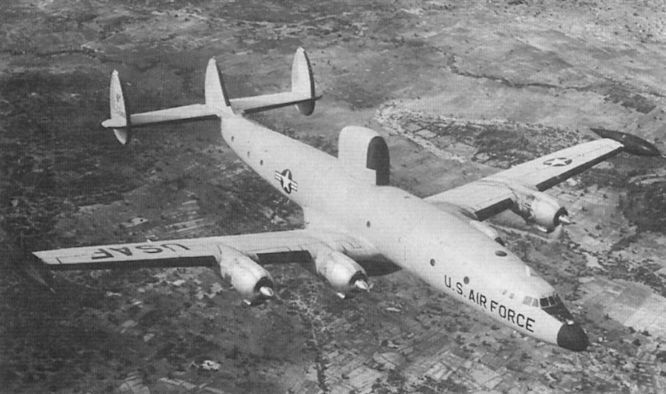 Lockheed EC-121s of the 552nd AEW and CW arrived at Tan Son Nhut in April 1965 as the Big Eye task force. 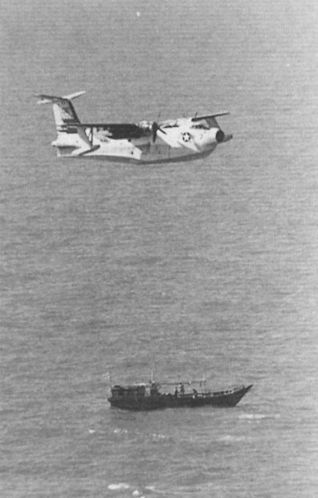 A Market Time SP-5 Marlin flys over a junk engaged on a patrol mission.